There are many things to think about when taking the leap to come to Asia and learn Chinese in China. Part of our job is to make that transition as easy going and simplistic as possible for you. That is the reason we offer a number of different services to help the transition. Culture shock in China is inevitable but things can be made a whole lot easier, safe in the knowledge you have a public transport card (including money) and a Chinese Mobile SIM card ready to use (also topped up). Resolving these issues alone, when you are new to China can prove awkward and difficult. Not anymore! You can always rest assured you have the full support of the LTL staff as and when you need. We know China, we know how things work here and we are here to help. Below is a list of the services we provide to make your transition to China as smooth and comfortable as possible. Mobile SIM card with data and minutes – We start you off with 700MB of data and 50 minutes of call time. Ask us how to top up when you arrive or need to. Airport / Train Station pick-up – When you arrive in Beijing we will be there to take the stress away for taking any public transport. Public Transport Card – Your card can be used on Public Buses or the Metro and has about 20/25 trips on it ready to use. Get a new Bank Account – Having a bank card is hugely convenient in China as so many things are done “cashless”. However in China many banks don’t allow short term visitors to open bank accounts anymore. While the rules are constantly changing and of course nobody knows what they will be when you arrive (this is China after all), we will tell you which bank currently has the most favorable policies at the moment and go there together with you to help you to apply and link your bank card to mobile phone apps. Register with the Police – Foreigners must register with the police when you arrive at your accommodation. We will provide help with this. Free Bike – get a free bike for your entire stay in Beijing from LTL or we help you to sign up and pay the deposit for you for one of the very popular bike sharing apps in Beijing. Please Note – Standard Package Survival Kits are included in our LTL Immersion China Program and Multi City Programs. If you wish to just receive airport/train station pick-up we have a package solely dedicated towards that. Like always with LTL there are no extra charges for being picked up late at night or in the morning. For a smooth experience however we do recommend to arrive in China between 10am and 5pm on the Sunday before your course starts. Our Connection Kit is aimed at helping you make friends as quickly as possible. We always advise students to try and make friends with Chinese locals as much as possible, especially the ones that don’t speak English. In reality, it’s very easy to be drawn to foreign friends simply for the matter of convenience. You will be paired with someone who has similar interests and hobbies to you. This gives you a head start just as you arrive in Beijing. From then on, you can meet plenty more friends. We will pair you with someone based on common interests and hobbies. 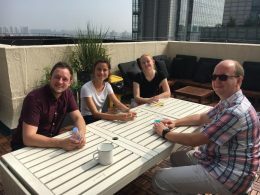 You have the chance to explore Beijing together and make Chinese friends instead of just hanging around with other international students or living in the “expat bubble”. 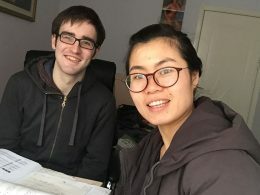 Your language exchange friend will help your Chinese whilst you help them in return. You will be sure to talk about stories from your hometown, cultural differences, food and so many more topics. The great thing about meeting people from around the world is the stories you tell are limitless. You will also learn a lot off your language friend whether it be about Chinese language or Chinese culture itself. The connection kit service about finding and introducing you to people whom we think you will get on well with. The friendship itself of course you will have to build yourself and while we think you will match nobody can guarantee this. Friends and connections are not for “sale” and need to be built by yourself, not be purchased. 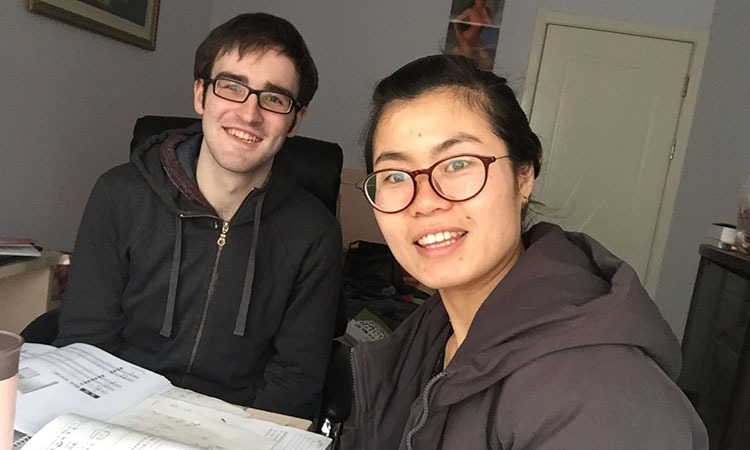 The aim of the connection kit is to make it easier to start this process, which works very well for most of our students and has lead to many life-long friendships and significantly faster Chinese language learning progress for participants. SURVIVAL KIT - How do I meet my Driver at the Airport? When arriving to Beijing you’ll no doubt be a little bleary eyed after what was probably a long haul flight. Thankfully our Driver will be right on hand to get you. Once you get off the plane, go through customs and claim your baggage you’ll head to arrivals where your driver will be waiting with a sign with your name. There may well be a lot of people but don’t worry if you don’t immediately spot your driver. He will be on the lookout for you too and he’ll have a good idea who he’s looking for! SURVIVAL KIT - What should I bring on my first day at LTL Mandarin School? All your learning resources and equipment will be provided at our school so just bring yourself along and don’t forget your passport also. Anything else such as laptops, your own learning materials, stationary etc you are welcome to bring along of course! We will invite you for a meal together with your language exchange partner and student ambassador where you will get to know each other and arrange your next activities together. We will choose both based on their background, age and interests so that you have something to talk about with each other. However, how well you connect with a person always depends on the two of you of course. So two people gives you twice the opportunity to make a friend for life. This will very much depend on whom we think is suitable with you. It might be local university students who want to make friends with foreigners, young professional who wants to get a more international outlook or one of our friends who just likes to go for drinks with new people. Let us choose the right people for you. CONNECTION KIT - Can you guarantee that we will become friends? No of course we cannot. We provide you with the contacts, the people and the setting. However, in the end both of you will have to build the relationship together. Making local friends in a country as culturally different as China is a challenge, but also great way to learn Chinese. For more advice on how to learn Mandarin outside the class room have a look at our how to learn Chinese e-book. Applying for a Visa in China can be difficult and awkward, especially if you've not done it before. We help take the strain away by providing you with regular support when applying for a visa to study in China. 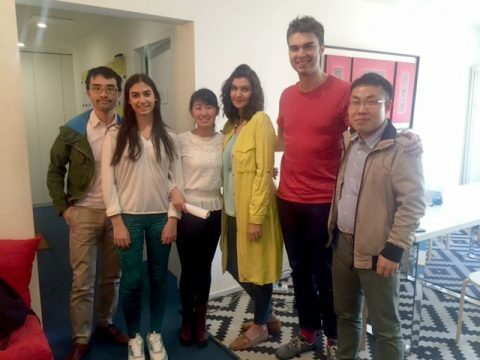 You will enjoy being part of the LTL Family when in Beijing. Staff, teachers and students spend time together outside of class. Whether it be at a restaurant, bar, or museum, there is plenty to do with LTL.